While I love pushing out new content I wanted to take this week to give you a quick update on the progress being made at EAT Money and share some of my top posts thus far. Its hard to believe it but I’ve been blogging for 8 months. That seems crazy to me. On average I put in ~10 hours a week which means I’ve put over 300 hours into this blog! I sure hope it shows. 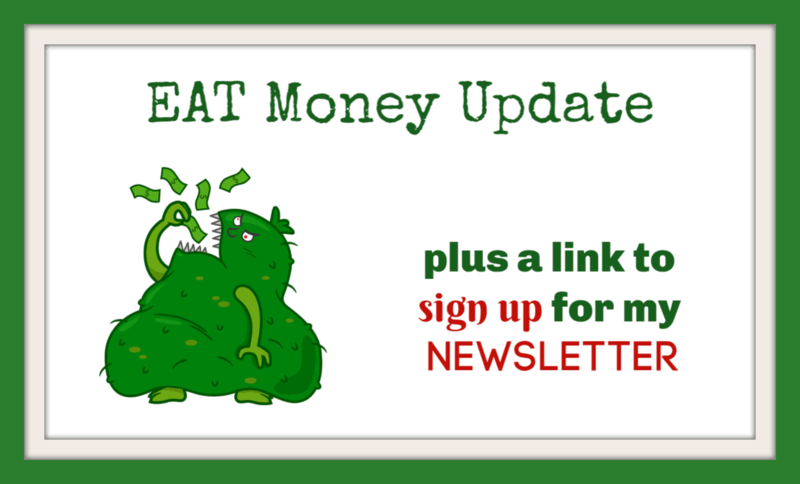 I try to get better every day to get my message out and help each and every one of you create your own money monster. I feel like mine is still a baby but its getting bigger every day! Recently I’ve revamped the site and made it a little easier to sign up for my newsletter. The newsletter launches in April so sign up today! Some of my best posts thus far certainly aren’t the ones I thought would resonate. Regardless, here are the top 3 over the past 8 months. This was one of my first posts. I’ll never forget sitting down one month to calculate my net worth because I had crossed the coveted “I’ve added a quarter million dollars to my net worth” mark. While I’d like to take all the credit I realize luck played a big part here. This was one of my favorite posts to write. There are few things I believe in more than the power of hard work to get you where you want to go. If you want something and you aren’t working harder than anyone in the room, I don’t really want to hear your excuses. While I’ve always tracked my net worth I actually believe its not the best metric to track for those starting out in getting their finances together. Click on the link to learn what I think the most important is! I hope you are enjoying EAT Money because the plan isn’t to change dramatically anytime soon. I enjoy the process too much and have a pretty solid plan for the remainder of the year. My main goal is to continue to get better as a writer so I can communicate my message even more effectively. The only thing that I’m adding in April is pushing out a monthly newsletter. My content will be a small focus. Alternatively I will pass along the best reads of the month so I can ensure you, my audience, is getting the best of what’s out there in the personal finance world. Sign up and let me know what you think! My message is all about working to get your financial house in order so you have less stress and can focus on things that truly matter. I’ve captured this in the money monster. I’m working to grow a money monster that creates its own income that is larger than my own. Its going to take time and it won’t be easy but man do I love this process. The process of pushing yourself, trying new things and getting better every day is one of my favorite things about life. What is a money monster?